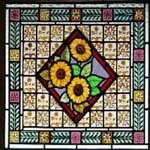 Historically, design for early stained glass windows, was drawn out on a whitened table top. The design artist would map the outlines of his drawing, the shape and color of the individual pieces of glass to be used, and the position of lead strips (calmes) that would eventually hold all the pieces of glass together. 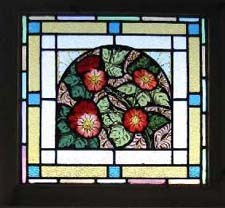 In Victorian times the earlier methods were revived..
For more information on painted stained glass window manufacture and design.click here.